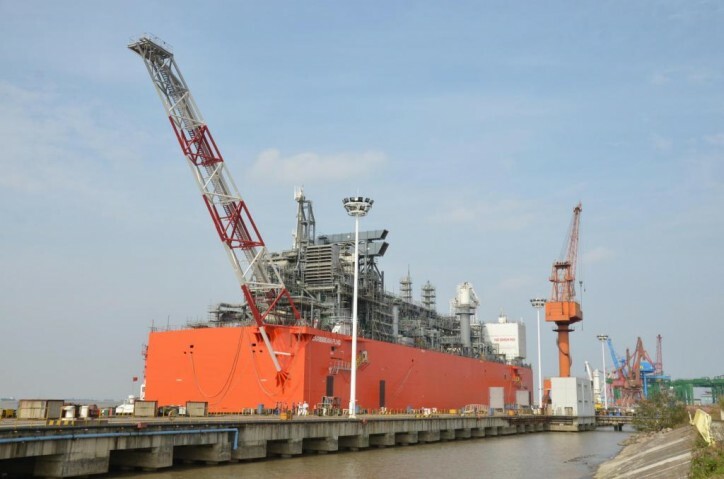 EXMAR announced yesterday that it has taken delivery of the CARIBBEAN FLNG (CFLNG) on the 27th July 2017 from Wison Offshore & Marine in the People’s Republic of China. The CFLNG consists of a 500,000 tons per year floating liquefaction plant with 16,000 m³ of LNG storage and will remain moored in Wison Shipyard. Communication on the employment of the CFLNG will be made once the final agreement with the customer is signed. EXMAR has achieved this important milestone with the support of Wison Offshore & Marine, Bank of China, Deutsche Bank and Sinosure and EXMAR extends its gratitude and congratulations to all parties involved in this milestone project for their commitment and collaboration. EXMAR LPG BVBA, a joint venture between EXMAR and Teekay LNG Partners L.P., has taken delivery on the 24th July 2017 of the Midsize gas carrier KRUIBEKE built at Hanjin Heavy Industries. The vessel will start operating in the fleet of Midsize LPG vessels controlled by EXMAR LPG. The KRUIBEKE is expected to positively contribute to the EBITDA as from its delivery. EXMAR LPG has still 3 Midsize gas carriers under construction.